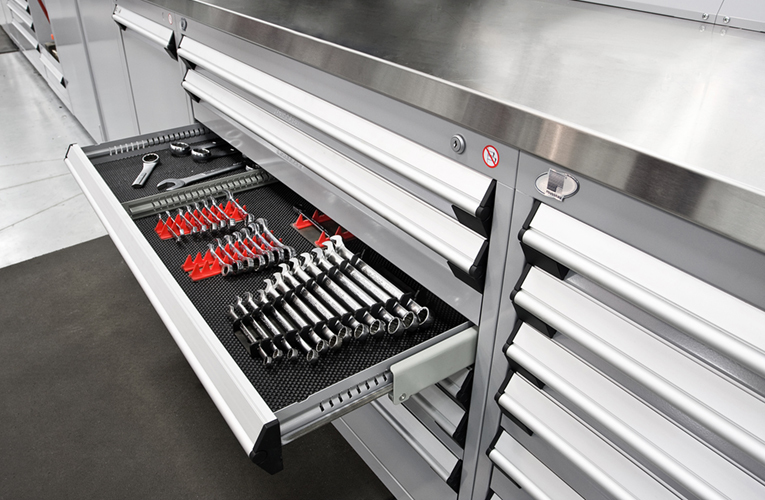 Whether you’re looking for a basic workbench, with or without storage, or a more complete workstation that incorporates a toolbox, the hoist controls, a computer system and/or the reels and dispensers, Metric Storage Systems can satisfy any and all of your workstation requirements. In order to be as ergonomic as possible, we suggest a standard workstation height of 36″. For most people, this is the perfect height for working in a standing position in a service department. 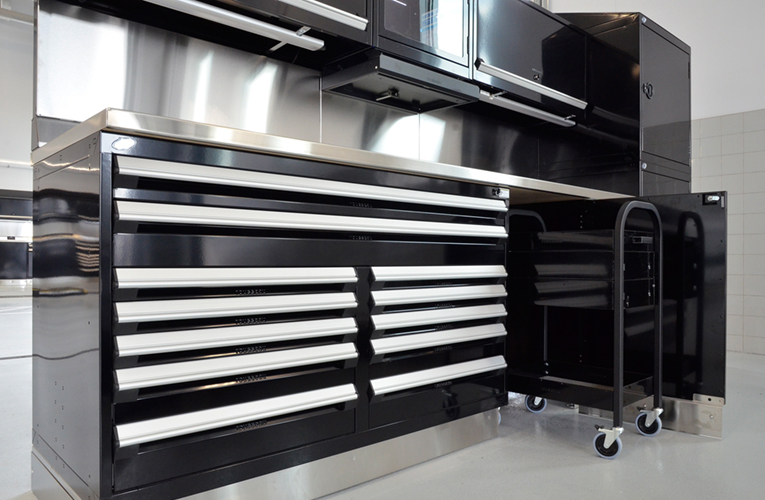 However, if the members of your team would prefer a higher work surface, a height of 40″ is also available. Always striving to offer you solutions that suit you best, several paint colours are also available; this means that you can personalize your system with the colour scheme of your choice. You can be as creative and unique or as simple and refined as you want! 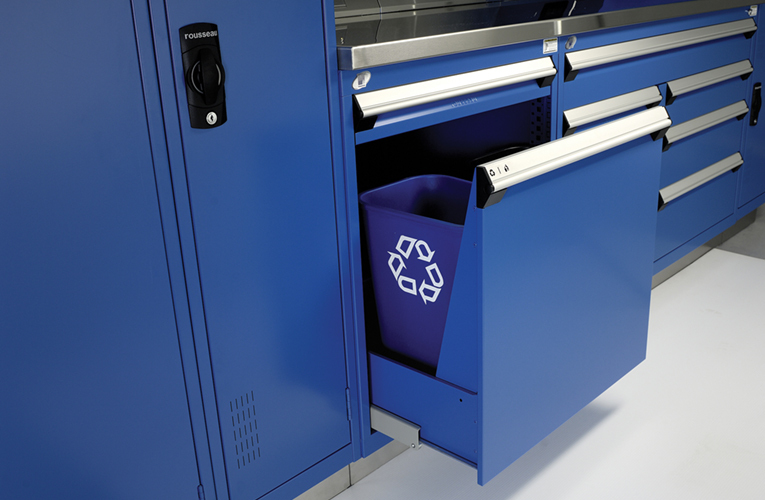 With modular components and a vast array of options available, Metric Storage Systems offers custom designs for every application, depending on the space you have available. 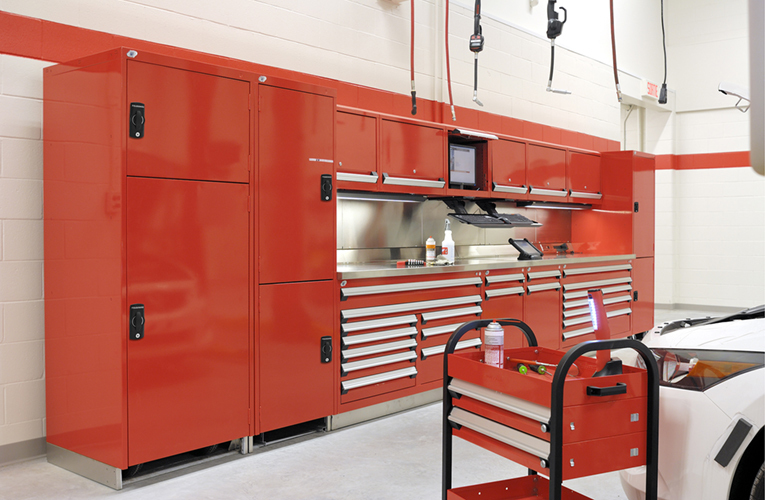 With the highest quality and most versatile product line on the market, it’s no wonder why Metric Storage Systems has grown to become the premier storage equipment supplier for Automotive Dealerships across Ontario. 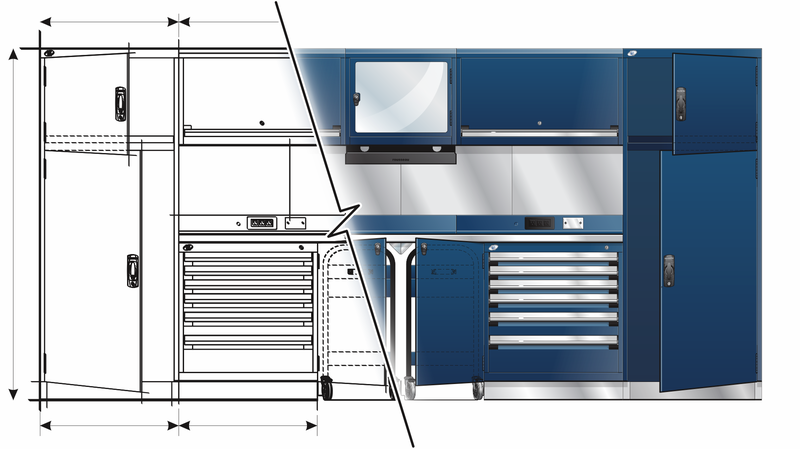 The GT workcenter is the only complete modular system that combines quality, functionality, durability and stunning looks. In just a few clicks, you can configure a workspace tailored to your exact needs. 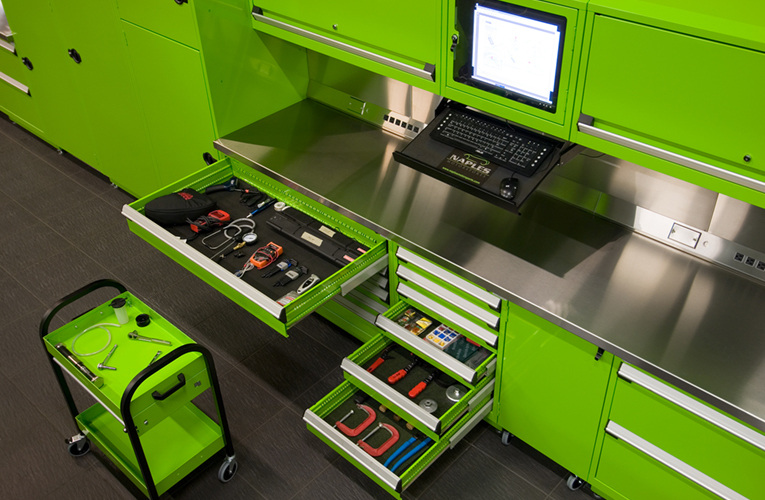 Once you have drafted your workcenter, you can save it, share it or request a quote. Try it now!